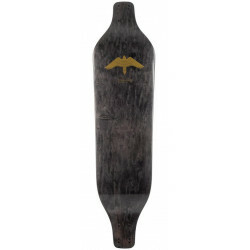 6 " - 10 "
Landyachtz has been making boards since 1997, they have been designing boards for the world to enjoy and are proud of what they have created. 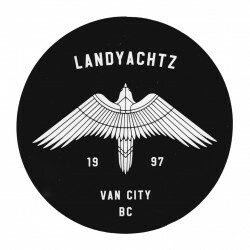 Landyachtz was started in the basement of the Blackcomb Ski Club cabin by two friends, Michael Perreten and Thomas Edstrand. Landyachtz has always been one of the most popular brands in our line-up, and for good reason, they offer high-quality boards for every skater for a reasonable price. Trucks: BearWheels: HawgsBearings: Bear Spaceballs. Trucks: Bear GrizzlyWheels: 63mm Hawgs 78ABearings: Spaceballs Abec 7. Trucks: Bear 852Wheels: 63mm Hawgs 78ABearings: Spaceballs Abec 7. Trucks: Polar BearWheels: HawgsBearings: Space Balls Abec 7. Trucks: Polar BearWheels: Fattie HawgsBearings: Bear Spaceballs. Trucks: Polar BearWheels: HawgsBearings: Space Balls Alert. Trucks: BearWheels: HawgsBearings: Space Balls. 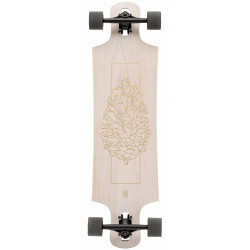 Trucks: Polar BearWheels: Chubbie HawgsBearings: Bear Spaceballs. Trucks: Polar BearWheels: Chubby Hawgs 60mm 80aBearings: Spaceballs Abec 7. Trucks: Bear GrizzlyWheels: HawgsBearings: Space Balls Abec 7. Trucks: Bear GrizzlyWheels: Hawgs 69mm 78ABearings: Space Balls Abec 7. Trucks: Polar BearWheels: HawgsBearings: Bear Spaceballs. Trucks: Bear GrizzlyWheels: Hawgs 69mm 78ABearings: Abec 7. Trucks: Bear Grizzly, Wheels 63mm Fatty Hawgs 78ABearings: Spaceballs Abec 7. Trucks: Bear GrizzlyWheels: HawgsBearings: Bear Spaceballs Abec 7. Trucks: Bear Grizzly 852 180mmWheels: 69mm Hawgs 78ABearings: Bear Spaceballs Abec 7. Trucks: Bear Grizzly Gen 5Wheels: Chubby HawgsBearings: Space Balls Abec 7. Trucks: Bear Grizzly Gen 5 181mmWheels: Mini Zombie Hawgs 70mmBearings: Bear Space Balls Abec 7. Trucks: Bear Grizzly 845Wheels: Bigger Biggies Hawgs 73mmBearings: Bear Space Balls Abec 7. Trucks: Bear Grizzly 845Wheels: Mini Zombie Hawgs 70mmBearings: Bear Space Balls Abec 7. Trucks: Bear Grizzly 852Wheels: 70mm Mini Zombie Hawgs 80aBearings: Bear Spaceballs Abec 7. Trucks: Bear Grizzly Gen 5 181mmWheels: Mini Monster Hawgs 70mmBearings: Bear Space Balls Abec 7. Trucks: Bear Grizzly Gen 5 181mmWheels: Chubby Hawgs 60mmBearings: Bear Space Balls Abec 7. 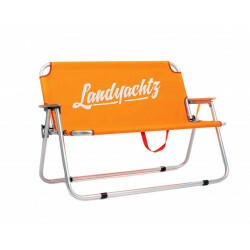 Length: 101.6 cm / 40" Width: 22.3 cm / 8.75" Wheelbase: 67.3 cm / 26.5"